Acne is a physically and psychologically debilitating disease involving the hair follicles of the skin. When these tiny follicles become blocked with sebum and dead skin cells, an infection may develop leading to acne pimples. 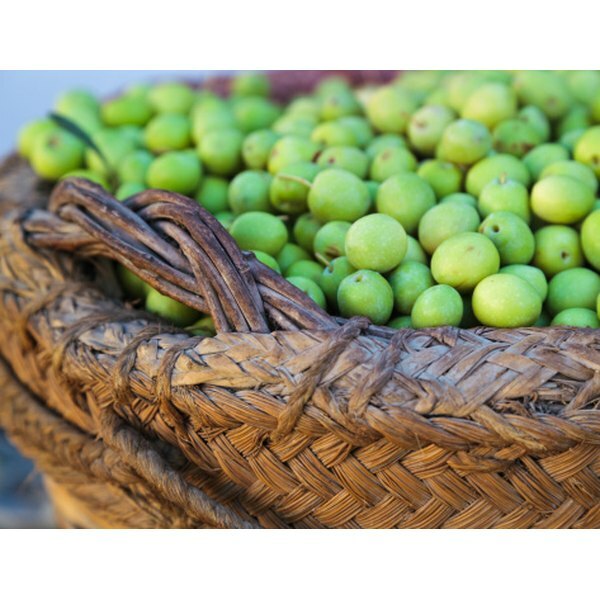 Before the development of modern and often expensive skin care products, olive oil was used to clean and rejuvenate the skin and is still used for the treatment of acne. Olive oil contains vitamins and antioxidants, and when used as a face wash it removes impurities, hydrates and exfoliates the skin. It may also help reduce the appearance of acne scars and wrinkles. Pour 1 tsp. of extra virgin olive oil into the palm of one hand; more or less can be used if desired. Rub the palms of your hands together and with slow, circular motion, use your finger tips to massage the olive oil into your skin, concentrating on the troubled areas of your skin. Avoid getting the oil into your eyes, but be sure to gently massage around your eyes as olive oil is good for reducing fine lines and removing eye makeup. Continue to massage the oil into your skin for one minute. Wet a wash cloth in hot water and wring out any excess water. Place the cloth on your face and allow the steam to penetrate your skin until it cools. Using a clean wash cloth, prepare it as you did in the step above, only this time, use the cloth to remove all of the olive oil from your skin. You may need to repeat this step again until all the olive oil has been removed. Splash your face with cold water to seal in the moisture. Repeat this cleansing procedure every night for optimal results. Using this treatment more than once a day can cause your skin to become too dry, making your condition worse. If your skin feels tight or dry after the treatment, massage a small amount of the olive oil into your skin or follow up with your usual moisturizer. There is no need to wash your face or to remove your makeup before using the olive oil. To do so may leave your skin feeling too dry and worsen your condition. Your skin may need a few days to adjust to this treatment. After a week, you should begin to see improvement in the texture of your skin as well as a reduction in acne breakouts. If the olive oil gets into your eyes, rinse with water and gently pat dry.